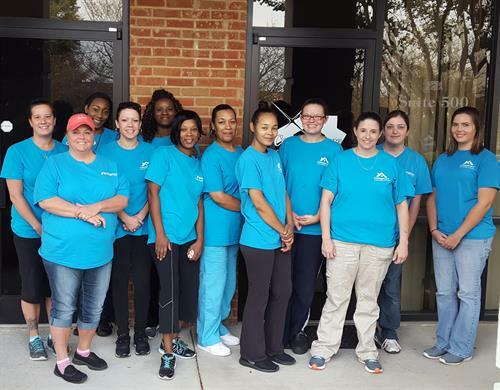 We provide houseclesning services for the greater Charlotte area. 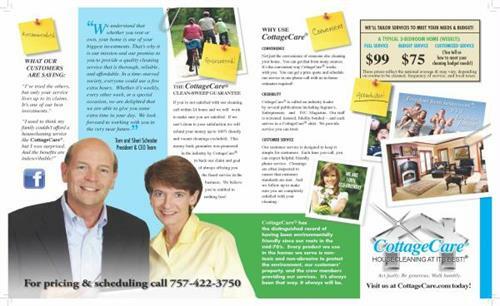 CottageCare® has provided Residential Housecleaning in the Greater Charlotte area for over 20 years. CottageCare® prides itself on excellent customer relations and providing the highest quality cleaning to each of our much appreciated customers! We offer prices for Regular Service with NO CONTRACTS. We offer prices for Vacant Move-Out, Move-In and Spring Cleanings. We price by the rooms that you choose to have cleaned, each and every time (Regular Cleaning), not by the amount of time a CottageCare Crew Member stays in your home. We offer a 24-Hr FULL MONEY BACK GURANTEE, if we cannot correct any issues to your satisfaction (Regular Cleanings). 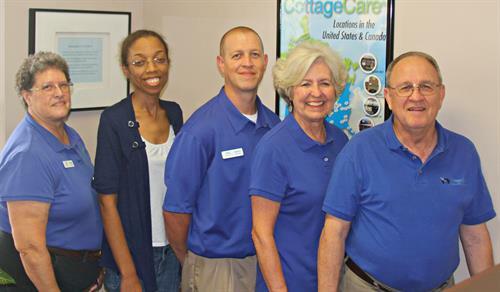 With Service Centers largely in North America, we have years of experience behind us and we welcome the opportunity to show you what CottageCare® is all about! 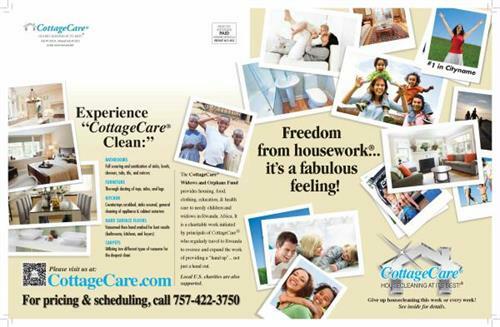 Please visit us at: www.cottagecare.com to learn more about the services we provide and the areas that we service. Freedom from Housework...It's a fabulous feeling!